The frustration kept me awake the first time I read the comment. It is difficult to understand how, in a land that each year honors a man who marched for everyone’s equality, people could not want the same for me, a fellow American. The comment that suggested I was responsible for reversing the work of feminists in this country because I made a decision to wear a hijab, was neither completely negative nor positive. But despite the hundreds of responses that were outright racist or those that suggested that it is okay to hate Muslims, that one kept me wondering for days how someone could say that to me. But this is not about me; it is about three things: the desensitization of hate towards Muslims, the Constitution and misconceptions. Earlier this month, I wrote a piece about my experience trying to cover the Republican Party of Texas state convention for The Shorthorn, the University of Texas at Arlington student publication. People referred to me as “you people” or “you Muslims.” Some looked at me and frowned or shook their heads as I walked through the halls. On a panel discussion about outreach to minority religions in Texas, I asked about outreach to Muslims, because Islam is the second-largest religion in Texas, which is home to the eighth-largest Muslim population in the United States. The panelists shrugged me off, as though the Muslim voter doesn’t matter to them. Once my column received national attention, the comments became increasingly vicious. Many commenters said they were not surprised by the way that I was treated; that I was asking for trouble and that what happened to me could happen anywhere. But we should be shocked that anyone, anywhere should experience such open disdain in a country that is all about freedom and equality. And then there were the comments that argued that people have a right to hate Muslims. Although you might have the right to feel negatively towards a people, when you bring that into a public arena and violate my sense of safety or belonging, have you not violated my rights? This is America, my America, my country. And in my country, such intolerance toward people based on how they dress or what religion they practice is unacceptable. And yet other comments suggested that it was my fault for choosing to dress modestly, as if my attire is degrading to women. The fact is that my hijab is a symbol of how I fight for gender equality, day in and day out. I always understood America to be the land of the free, but in reality you’re only free to assimilate. This idea that you have to conform to be American is not what we are about. It is my decision to wear a hijab, and the idea that I am reversing the hard work of self-proclaimed feminists is ill informed. The idea behind modesty is to liberate oneself from societal ideas of what a woman is worth or how she should look. My hijab makes my voice heard, it liberates me further from the societal and cultural idea that my curves and my body are what I am made of. Because of the decision I made to cover my body, I am telling society to view me first as an intelligent woman. I have faced situations in which people have said things to me because of my hijab; I’ve even had my hijab pulled off. But my reception at the convention was different. This wasn’t one person being mean-spirited, or one person being hateful: This was like a large group of people doing it. It was also the first time as a journalist that I was impeded because of the way I look, or dress. Some commenters suggested that I went to the convention to stir up trouble. I attended the GOP convention, along with seven colleagues, to find out more about how the Republican party intended to reach out to younger, minority voters. But I could not do my job because of a piece of cloth. I represent more than just a Muslim American minority that is okay to hate. I am an American, and this July 4th I will be at the front of the Arlington parade handing out our flag, the American flag. Being Muslim is just a part of who I am, and it has shown me more about this nation than blending in ever could have. As a biracial Muslim, woman I have come to terms with what is called intersectionality, or the crossroads of multiple things like race, gender and religion, and if anything I am the very definition of an American. I believe not only in equality and freedom for all no matter what religion, race or socioeconomic background you started with, but also in gender equality and the end of an era of hate. Although there was a serious negative response to my column, I also received an outpouring of support from several communities. So again, in response to all those comments that openly hate an entire population, all those comments that suggest I should be beheaded or harmed, all those comments that made my column about us versus them — I am an American. The question is, are you? 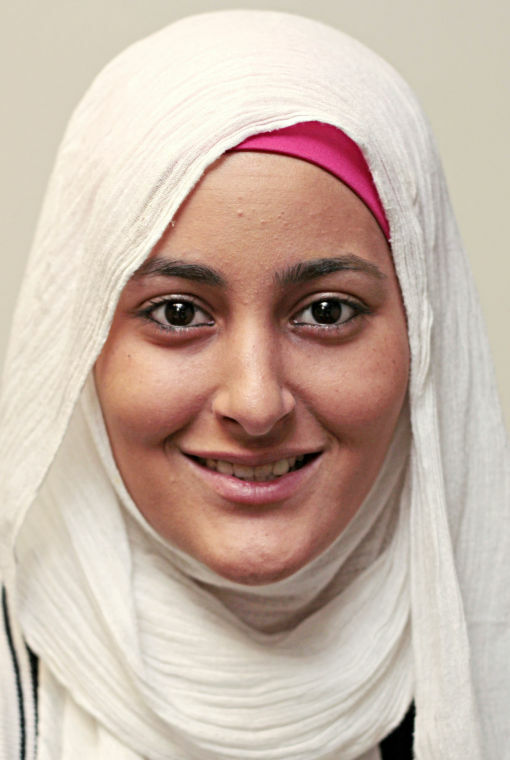 Heba Said is the opinion editor for The Shorthorn, the student publication for the University of Texas at Arlington. Follower her on Twitter. I am still waiting for the first Muslim American leader to condem the atrocities of 9/11/2001. If she would do that instead of being offended, she might find much more acceptance and kindly reception. I have never heard an American Muslim leader defend 9-11. Unless the person in question identifies with a terrorist group, I’m not sure it’s an issue. It would be like attacking me, as a Canadian, because Canadians bash in the heads of baby seals on ice flows every year. If you check the news reports, I think you will find that many Muslim leaders and many Muslims in many countries condemned the attacks. The Taliban would have turned Bin Laden over to the U.S., but Cheney/Bush was determined to have a war.